Hitting the cinema halls on one of the strongest day celebrated across the world i.e. Women’s Day, Badla, starring the evergreen Amitabh Bachchan and the talented Taapsee Pannu has opened up the success doors for itself. The film has magnificently kept on inviting audiences since the very launch day. Being an impact story inspired from Hollywood, the movie has simply kept the audience glued to their seats awaiting the next twist in the queue. The famous Bollywood critic, Taran Adarsh is highly acclaimed by the film’s success as evident from his quote, “Badla is a hit!” Sharing the latest collection figures of the film, Taran appreciated the work done by both the stars in his own ways. It was an amazing entice for the audiences and a must watch of the year. 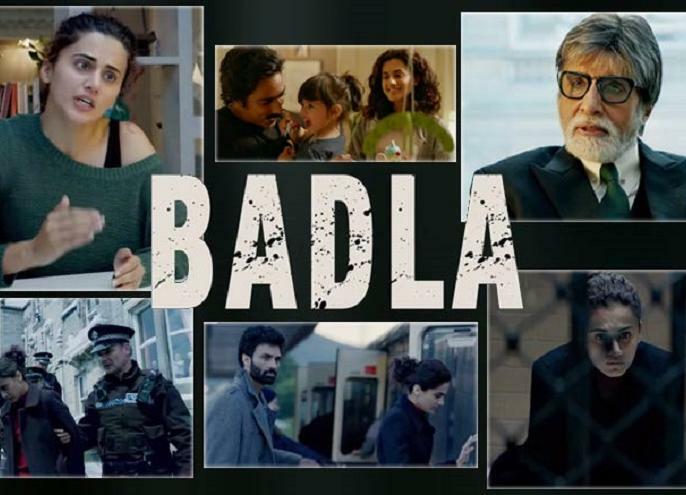 Audiences have actually responded to the fullest for this Amitabh Bachchan and Taapsee Pannu’s filmed crime-thriller, Badla. On this second Saturday, the resulting box office collection of this magnificent thriller reached Rs. 6.60 crore as per the tweet shared by Mr. Adarsh. Taran also shared his remarks on the nine days raking of Badla that reached to a total of Rs. 48.65 crore (in terms of India business) and Rs. 57.40 crore (as per the gross collections). Till date, Badla has been an uninterruptedly running smash hit at the box office with none of the prime noted release disrupting during its course. Soon, Badla will have a competition over Akshay Kumar’s Kesari. The movie is set to release on Holi but, as per Adarsh’s prediction, Sujoy Ghosh’s thriller is expected to continue making its share of money at the ticket counters. Taran also added that the film, Badla is worth its potential of touching Rs. 75 crore banners.